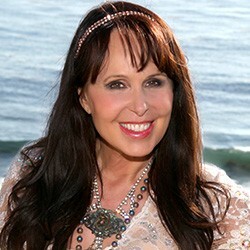 Doreen Virtue graduated from Chapman University with two degrees in counseling psychology. A former psychotherapist, Doreen now gives online workshops on topics related to her books and card decks. She’s the author of The Courage to Be Creative, Don’t Let Anything Dull Your Sparkle, The Miracles of Archangel Michael, and Loving Words from Jesus cards, among many other works. She has appeared on Oprah, CNN, the BBC, The View, and Good Morning America and has been featured in newspapers and magazines worldwide.